Why use a home designer? A home designer can help you with getting the most out of the square footage of your house. By having a well thought out floor plan your house will be more comfortable and have greater resale value. Simple elements in the elevation of the house can also greatly improve the value and personality of a home. We will incorporate the designs and elements that are specific to your needs. Our service philosophy is rooted on six R’s: Right, Ready, Reliable, Reputation, Relationship, and Respect. Right: Appropriate solutions and technical accuracy. Ready: Prepared for dependable and prompt service. Reliable: Committed to schedules and quality service. Reputation: Honesty, quality service, and fair fees. Relationship: Giving personal attention to each client. Respect: Respecting each client and their specific needs. My name is Drew, and I just starting out in the design world, I am currently a student at Tidewater Community College, my experience provide Technical Drafting for Architects, Engineers and Surveyors, I already have some knowledge and experience to help you design the house you’ve always had in mind. I plan on being involved in many types of construction projects, like my families home that we planning to build somewhere in Chesapeake, Va. by Kirbor Homes. With Morning Glory's House Plans you will get the personalized one on one attention your project deserves. I will personally sit down with you and go over every detail of the layout of the house and help with suggestions to improve the plan as needed. 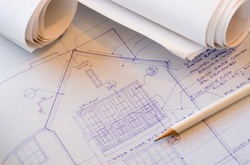 Whether it's a new house, remodeling project or addition, Morning Glory's House Plans can provide you with a complete set of plans. 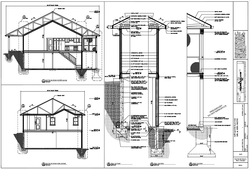 Working with you from concept design to final construction documents. Love it? or List it! Most of us have at one time or another lived in a house with a poor floor plan and therefore know the importance of having a practical, fluid floor layout and an appealing elevation. Morning Glory's House Plans will help you develop the ideas and concepts that you already have, from sketches and drawings and notes to a full set of plans and make your dream house a reality. Morning Glory's House Plans provides Computer Aided (CAD) construction plans. 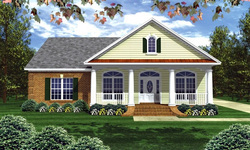 By having good house plans you will be able to move along the construction phase faster. The more decisions that are made on paper, the faster a project will go. You will also be able to get better prices from your general contractor or sub contractors because they’re starting with accurate and clear plans.